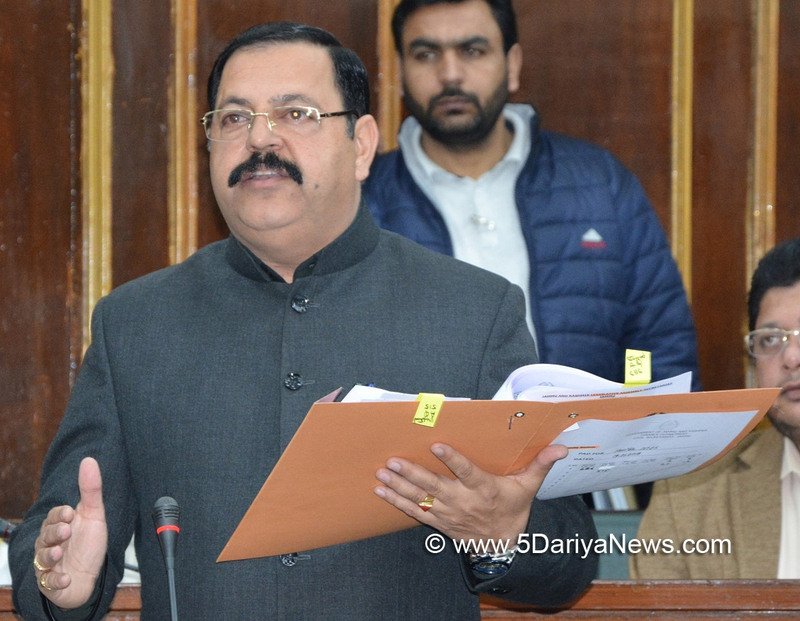 Minister of State for Finance, Ajay Nanda today informed the Legislative Assembly that the state Government has realized Rs 3683.57 crore tax from different sources during the past three years.While replying to a Question of Rajesh Gupta, the Minister informed that an amount of Rs 1241.84 crore was generated in 2015-16, Rs 1369.79 crore in 2016-17, while Rs 1071.94 crore tax was realized during the current financial year (upto ending, 2017).Giving details of expenditure on major projects and other developmental schemes during the past three years under Capex Budget (State-Plan), the Minister informed an amount of Rs 2.42 crore was spent against a release of Rs 3.11 crore during the year 2015-16, and Rs. 1.70 crore against a release of Rs. 5.44 crore in 2016-17, while Rs. 2.70 crore was expended against a total release of Rs. 5.97 crore during 2017-18 (upto ending November 2017).He further informed that the Goods & Service Tax has been implemented in the country wef Ist of July, 2017 and with effect from 8th of July, 2017 in Jammu and Kashmir.He said the implementation of GST is the most comprehensive indirect tax reform introduced in the country which has paved the way for subsuming multiple Central and State taxes. “With this single tax in the country, the boundaries of the State have become immaterial for trade and industry and cascading of taxes has almost vanished” he said adding that It has allowed the transfer of credit of taxes paid in other states against liabilities accruing in states of consumption. He further informed that the check posts/physical barriers have been removed altogether to free the trade from all hurdles. He said full implementation of GST would take some more time to stabilize and its impact on the trade and industry will be visible gradually.Mr. Nanda further informed that the Toll tax has not been subsumed in GST and the Government is competent to levy Toll under J&K Levy of Toll Act, Samvat 1995 as per taxation powers derived from Section 5 of the Constitution of Jammu and Kashmir, hence charging toll tax is not any violation of GST norms. Moreover, the toll has not been abolished in any part of the country yet, the Minister added.Mr. R S. Pathania, Mr. Usman Abdul Majeed, Mr. Rajiv Jasrotia raised supplementary questions on abolishing the Toll at Lakhanpur in the spirit of one tax one nation.